Lessons learned from opening a brick-and-mortar retail store may apply to online merchants, providing insights about promoting products, driving sales, and engaging shoppers. On November 9 through 11, 2017, I helped open a new brick-and-mortar retail store. The grand opening event took just three days, but it was the culmination of many months of planning and preparation. Its success reminded me of some important retail marketing lessons that apply not just to physical stores but to ecommerce, too. What follows are four marketing observations from this grand opening event for a retail chain’s 14th physical store. One of the often-cited advantages of brick-and-mortar retailing is that shoppers can handle the products and feel the material. But during the grand opening, I was reminded that sometimes seeing a product in person isn’t enough to sell it. In fact, ecommerce merchants may have an opportunity when it comes to selling relatively complex products. Here is an example. At the front of the new store there was a display of winter boots. 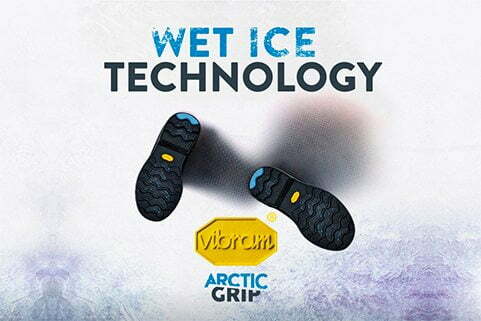 These boots featured the Vibram Arctic Grip sole, which is a new, engineered sole that sticks to wet, slippery ice. 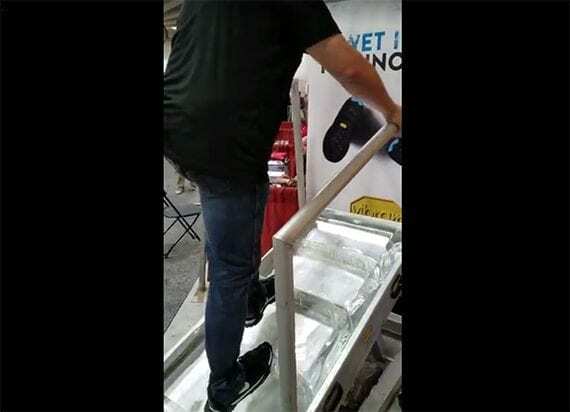 I had an opportunity to try the Arctic Grip sole at a trade show in August. The Vibram folks had a large block of ice, which I walked on with the Arctic Grip sole strapped to the bottom of my Nike SD shoes. The experience was incredible. The Arctic Grip sole, which is available on several brands of shoes, was amazing. The author trying the Arctic Grip sole at a trade show in August 2017. In the store, however, winter boots equipped with these high-end, sticky soles just looked expensive. I heard a shopper ask her companion, “Why do these boots cost so much?” I interrupted them, showed a video from when I tried the Arctic Grip — it was still on my mobile — and they bought a pair. What had seemed expensive a moment earlier was suddenly worth every penny. The difference had not been seeing the boots in person, but having a person explain what made them special. So here is the ecommerce opportunity: Online stores can include an Arctic Grip video — in fact, there is one available on YouTube — that lets the shopper see the value. 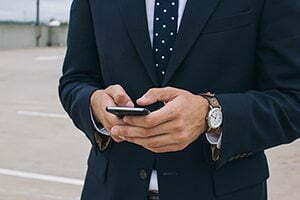 Online a business has an opportunity to provide much more information than a shopper can find simply walking past the boots in a physical store. To help promote store 14’s grand opening, the retailer’s advertising agency scheduled several radio remotes. For each remote, a local station set up a 10-foot-by-10-foot pop-up tent on the front sidewalk and asked radio listeners to come by for a chance to win prizes and see the new store. During the remote on Thursday afternoon, the announcer from a local country radio station had Curt, the store manager, give her a tour of the new store on Facebook Live. A technician held an iPhone while Curt and the announcer walked around and chatted. Nearly 400 folks watched live, and several thousand people watched the video over the next 24 hours. Within moments, a consumer called the store and asked the staff to hold a stoneware bowl Curt had showed during the video. Website traffic for items Curt pointed out during the tour were still up four days later. Your ecommerce store can use Facebook Live for events, content, and even products. Each morning of the grand opening, the first 50 shoppers through the door received a $10 gift card for the store and a $5 gift card for the Starbucks across the parking lot. Once inside they were also offered pastries from a local bakery. Reciprocity is when your business does something good or nice for a consumer, and that consumer feels a sense of obligation to do something nice back. Reciprocity is a powerful. Some of the shoppers who had received a gift card made only a small purchase. But many others spent hundreds of dollars. I watched one shopper apply his $10 gift card to a $899.99 power tool purchase. For your ecommerce business, look for opportunities to create a sense of reciprocity. When you give, you sometimes get. During the three-day grand opening event, the new store out sold the chain’s 13 existing stores and its website. As good as store 14 is, it will not be the company’s top grossing store long term, but it was for these three days. Some of those sales may have been curious shoppers who wanted to see what the new store was like. But the primary driver of sales was advertising. This retailer invested heavily in ads across media. The company placed commercials on radio, television, Pandora, Hulu, and YouTube. There were print ads, billboards, and mailers sent to thousands of addresses near the store. Waves have emails were sent, landing pages built, and digital banner ads placed. Advertising works. If your business needs site traffic and sales, buy an ad. 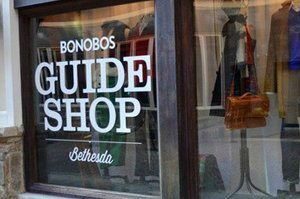 Can Experiential Retailing Help Brick-and-mortar Stores?